This poster is perfect for the North Carolina arts champion in your life. The North Carolina Heritage Awards Ceremony marks the end of the 50th Anniversary celebration of the North Carolina Arts Council. 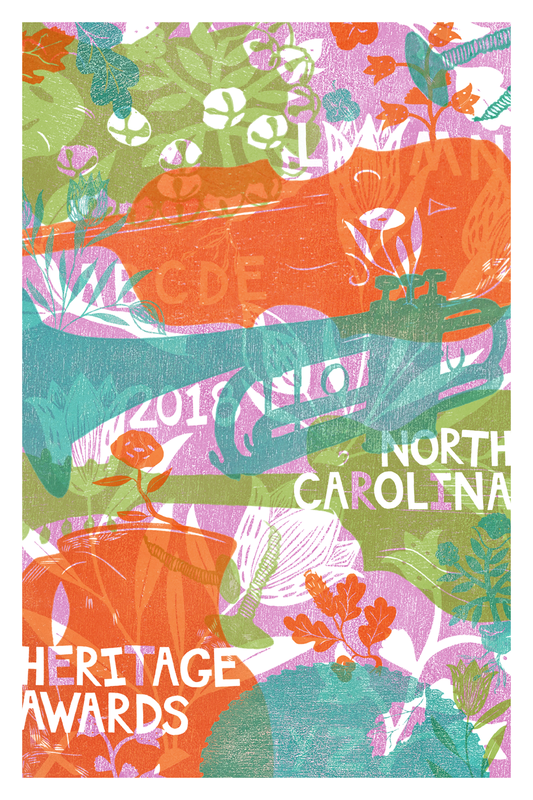 In commemoration, Greensboro visual artist Katy G. Collier was commissioned to design a limited-edition screen-printed poster celebrating the folk traditions of this year’s Heritage Awards recipients. 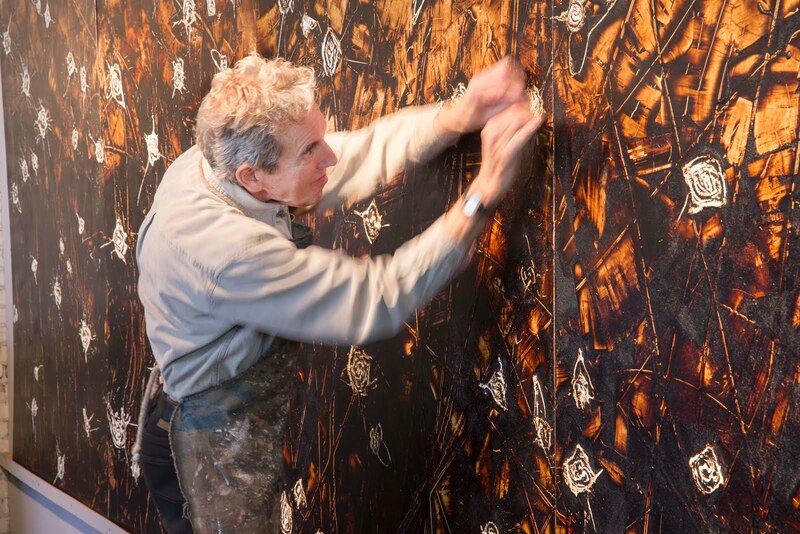 Collier works in printmaking, drawing, animation, and text. Her work draws on quilting traditions and landscape. This poster, the first-ever commissioned for the North Carolina Heritage Awards program, captures artistic elements of each awardee’s craft. The poster is a 4 color screen print size 11 x 17 inches. The $25 price includes tax and shipping. The N.C. Arts Council was established in 1967 as part of a national movement inspired by the concept of "arts for all citizens." At that time, there were 17 local arts councils and approximately 250 nonprofit arts organizations throughout North Carolina. Today, the network includes more than 2,500 nonprofit arts and culture organizations, a wealth of accomplished artists, and an arts infrastructure that reaches into all one hundred counties through one of the nation's most highly developed networks of local arts councils. "The arts in North Carolina enhance our quality of life and the state's arts industry is in the forefront of economic development and education reform," Wayne Martin, N.C. Arts Council Executive Director, said. "Our collective efforts have ensured that the arts are valued by our citizens as one of North Carolina's most robust and sustainable assets." The North Carolina Arts Council launched its 50th anniversary celebration in March 2017 at an evening event at the North Carolina Museum of History in conjunction with ARTS Day 2017. Sponsored by the North Carolina Arts Council Foundation, through the generous support of John and Donna Willingham of Yadkinville, and Arts North Carolina, the event featured remarks and presentations by artists, arts leaders and elected officials as well as a reception for arts supporters and legislators. This kickoff was the first in a year-long schedule of activities taking place across the state that celebrated the impact of the North Carolina Arts Council over the past fifty years and the value of the arts to present and future generations of citizens. The celebration ended May 23 at the 2018 North Carolina Heritage Awards Ceremony & Performance at the Duke Energy Center for the Performing Arts in downtown Raleigh. Find out more about the anniversary at www.ncarts50.org.